The XC90 T8 can go from 0 to 100km/h (62 mph) in 5.9 seconds, delivering all the driving pleasure customers have come to expect from a Volvo SUV. 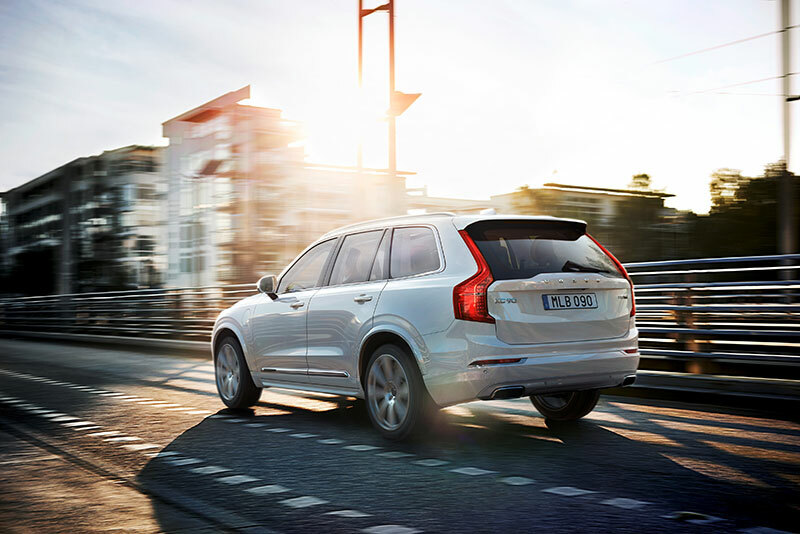 But driving pleasure is only a fraction of what the XC90 T8 offers: the car has five different driving modes that deliver a range of performance and efficiency-enhancing characteristics. Hybrid: This is the default mode, suitable for everyday use. Here, the vehicle will automatically alternate between drawing power from the 2-liter, 4-cylinder Drive-E engine and the electric motor to deliver the best overall fuel consumption. A specially modified version of the 4-cylinder Drive-E gasoline engine is under the hood. Already known for its ability to more efficiently deliver the power of an engine twice its size, the Drive-E engine is enhanced in the XC90 T8 by a supercharger and a turbocharger for a total power output of 318hp and 400Nm torque. The crankshaft-mounted starter generator (CISG), located between the engine and the gearbox, performs three important functions: it is a powerful, 34kW starter motor that allows the car to go from pure electric drive to combination combustion drive seamlessly, so drivers can experience the car’s petrol engine and electric motor as one unit; it is also a powerful electric generator; and finally, it acts as an electric engine booster, working with the supercharger and turbocharger when extra power is needed, providing up to 150 Nm of extra torque. 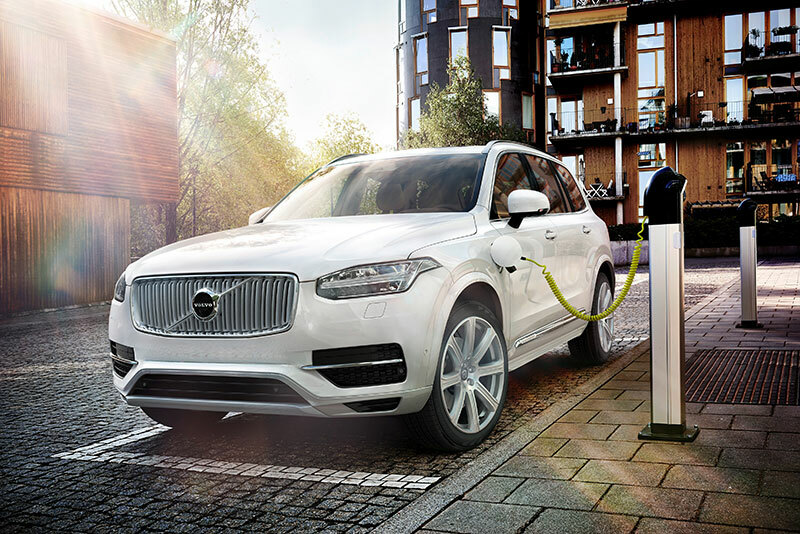 The high-voltage (270–400V) battery, delivering 65kW of power, is an excellent example of Volvo’s success with the XC90 T8. While other carmakers have struggled to combine the bulk of a battery pack with a luxurious and spacious interior, Volvo has managed to overcome this challenge by placing the battery centrally in the tunnel of the car. There are several advantages to this position. For example, the battery does not impact the amount of available space inside the car. This means that there is room for three rows of seats – plenty of space for people and luggage. Furthermore, the battery placement gives the SUV a low and central center of gravity, making the XC90 T8 easier to handle and safer to drive. As the world’s most powerful and cleanest SUV, the XC90 T8 joins a long list of Volvo Cars innovations designed to create a more comfortable driving experience, a cleaner environment and safer roads.